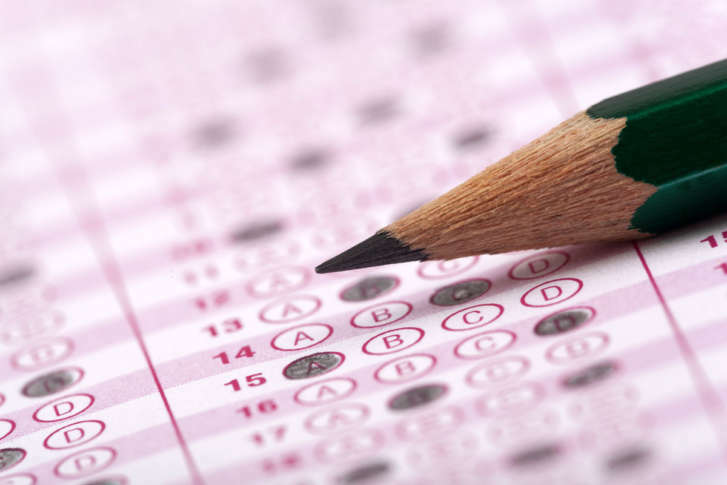 The Maryland Board of Public Works voted 2-1 to spend $36 million to develop new tests for students in third through 11th grades in a five-year contract. WASHINGTON — Next fall, when Maryland students head to class, they won’t be facing the PARCC exams, but they’ll still have to be ready for state-mandated testing. The board, made up of Gov. Larry Hogan, state Treasurer Nancy Kopp and Comptroller Peter Franchot, voted 2-1 in favor of the plan. Franchot objected, saying he thinks the SATs should replace the PARCC exam at the high school level. Though Franchot said he could understand that some testing might have to be administered in third to eighth grades, he said he was not convinced that any test the state is considering would be any different from the PARCC. Hogan told Franchot that he shared the comptroller’s concerns about “over-testing,” but noted that without some form of standardized testing to measure student performance, the state could lose federal money. “We can’t afford to jeopardize $300 million in federal funds by saying we’re just not going to do tests. It’s just not an option,” Hogan said. Salmon told the board members that the new exams will be designed to take half the time of the PARCC exams and would cost 13 percent less than current PARCC tests.